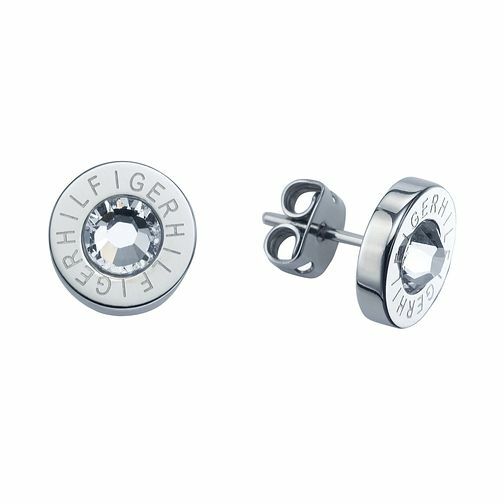 These dainty ladies' stainless steel stud earrings from Tommy Hilfiger are etched with the Tommy Hilfiger name. Carved into a complimentary round shape, embellished with a sparkling Swarovski crystal centre. Tommy Hilfiger Ladies' Logo Swarovski Round Stud Earrings is rated 5.0 out of 5 by 1. Rated 5 out of 5 by Anonymous from Lovely Gift Earrings are beautiful, very sparkly and perfect size.